Flat tires are no fun. 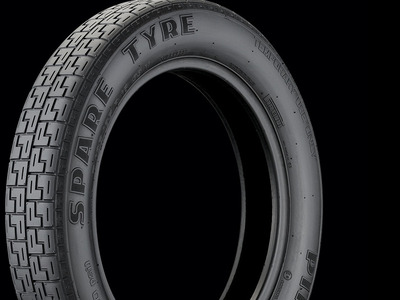 And with advancements in tire technology, they happen less frequently than they once did. 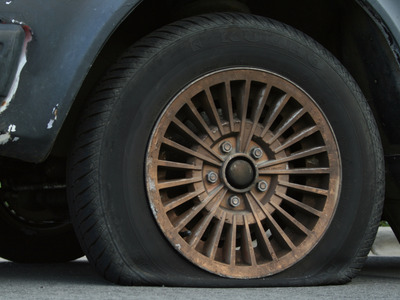 In fact, some tires don’t even need to be changed if they blowout — they can “run flat” for a short period of time. 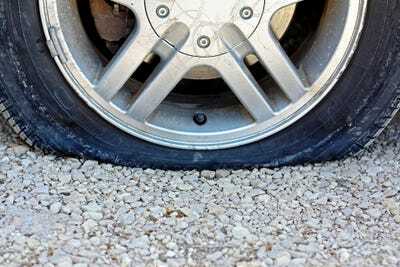 Still, flats and blowouts do occur, and most motorists dread the next step: changing the tire. A lot of people will actually sit in their car, with the flat unattended to, call a roadside-assistance service, and wait for a pro to do the dirty work. Which is fine, but there are several things you can do to make changing a tire much easier and less intimidating. Obviously, you need to be acquainted with the process of jacking up the car, loosening the lug nuts, and removing the tire and wheel. But if you know how to do all that and are still reluctant to make the change, here are some tips. On most cars, the jack has to be assembled before it can be used to raise the car enough to remove the flat tire and replace it with the 'doughnut' or temporary spare -- a small tire that is designed to get you to a service station for a proper tire repair or replacement. 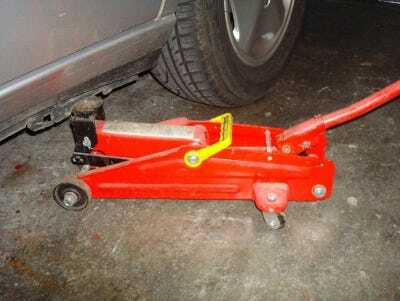 You don't want to wait until you have a flat to figure out the jack. It only takes about five minutes to put one together, so spend some prep time one it one afternoon. You'll be glad you did if you have a blowout on a dark, rainy night. 2. Make sure the temporary spare is in good shape. The 'doughnut' needs to be checked out every so often. You don't want it to be flat, too -- kind of defeats the purpose of having a backup. 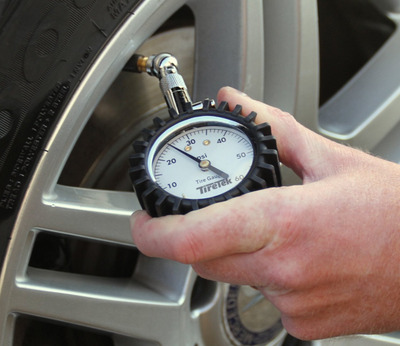 The best way to do this is to make it a routine when you check your tire pressure. On modern cars, you'll know you have tire-pressure issues because the car will alert you, via a warning light. So when you investigate that problem, take a few extra minutes to check out your temporary spare. You don't even have to do it yourself -- you can have it done at almost any gas station and even some car washes. 3. Prevent the flat in the first place. Speaking of checking your tire pressure, if you do it once a month or so, you'll always know if your tires are in decent shape, not under- or over-inflated. 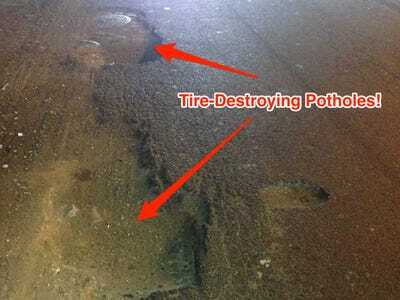 It's also a good practice to monitor wear and tear on your tires. Have a look at the condition of the tread. If it looks bad or uneven, you might need to replace a tire or tires. But you also might need to rotate or realign your tires, to even our the wear. And be aware of how old your tires are. No tire lasts forever, and once that at the end of its life it's far more likely to fail. 4. Keep an eye on the road. Driving too casually over a road, without assessing what kind of shape it's in, is asking for trouble. Tweak your driving to be less aggressive on bad roads, and by all means, avoid large bumps, potholes, and so on when navigating a thoroughfare. 5. Be prepared for the flat when it happens. You can do everything right and still blow a tire. I did, in a hilly LA neighbourhood, in the dark, when I backed my car into a pointy chunk of fractured concrete. BOOM! Dead tire. I had a flashlight -- one whose batteries I often checked. And I had EXTRA batteries, just in case. 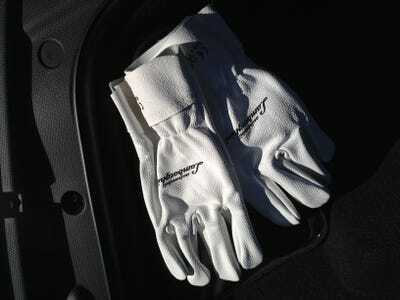 I also have a good pair of work gloves, to protect my hands. I also had a rain jacket, although it wasn't raining so I didn't need to use it. This last piece is important. You should have in your car what you would need to change a tire in the worst possible condition for where you live. That means a warm coat, hat, and gloves if your neck of the woods is subject to winter weather. So I got in the habit, about 10 years ago, of buying the usually rather inexpensive guarantee whenever I got new tires for my cars. For one of my cars, three tires were repaired after going flat, by the retailer I bought them from, at no charge. 7. Know when to call in the pros. There are times when it's kinda hazardous to change a tire on your own. For example, in the middle of the night on a rainy, busy highway. It's time like these that you want to sit tight in you car -- once you get it to a relatively safe spot on the shoulder -- and call in the cavalry. If you have a roadside-assistance plan through your insurer or a motor club like AAA, you should have a toll-free number to call that will have a local tow truck dispatched to your location. Once there, the driver can assess whether a change is in order, or whether you should be towed to another location or back to a service station. 8. Make sure you actually have a spare tire. A lot of new cars don't have a spare -- not even a temporary one. Rather, they have a sort of advanced patch kit, consisting of sealant and an inflator. 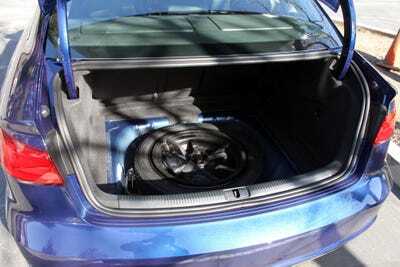 Additionally, automakers are going to be subject to higher fuel-economy standards in the next few years -- so ditching the spare tire also means reducing weight, which raises MPGs. 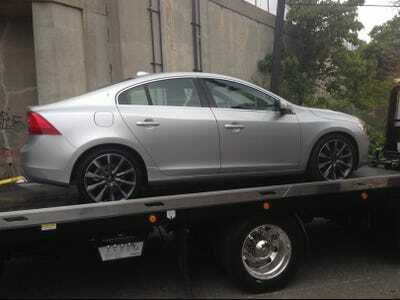 It's a good idea to know whether your car even has a spare -- don't make an assumption! Check!